My name is Dr. Gregory Ribitzky , I am a dentist . My dental clinic is located in the town of Beer Sheba- the city of Abraham and the capital of the Negev Desert, Israel. 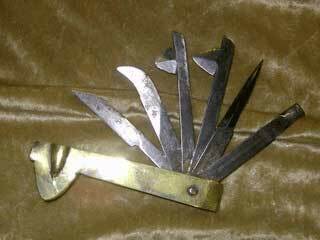 This website is based entirely on the items held in my private antique dental instrument collection . I hope that after exploring my antique dental artifacts, my patients will come to realize, how lucky they are, to be treated in the 21st century. initially bleed them for about a liter of blood. Why? Just for the sake of their general well-being. 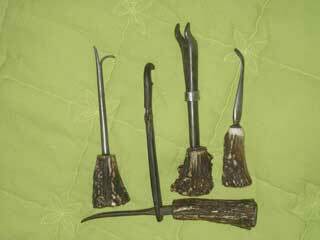 Commoners would be treated using crude, wooden handled implements. On the wealthy- I would use exquisite, ivory or MOP handled instruments. All of the above – without any kind of anesthesia. All that without protective gloves , while the blood of the previous patient oozes into the cracks in the handles. This presentation is non commercial and it’s purpose is strictly fun and education. 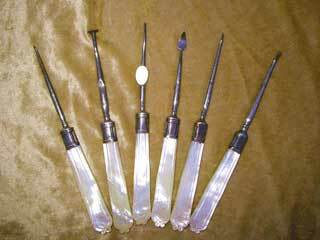 However- as any collector, i have some antique dental doubles and also some of my items no longer exite me. 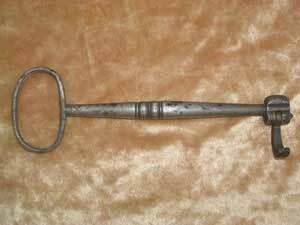 Those antique dental items may be available to collectors, museums and dealers. Inquiries are wellcome. You may now enter the Museum and have a good time!